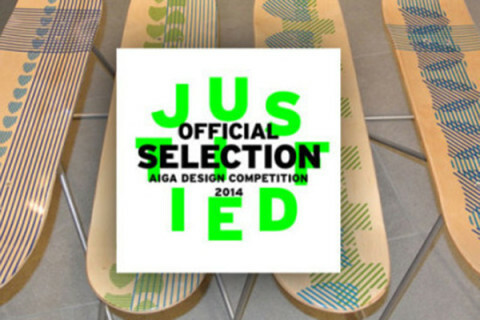 A14, AIGAKC’s design awards, were handed out over the weekend and we were honored to bring home some wins. 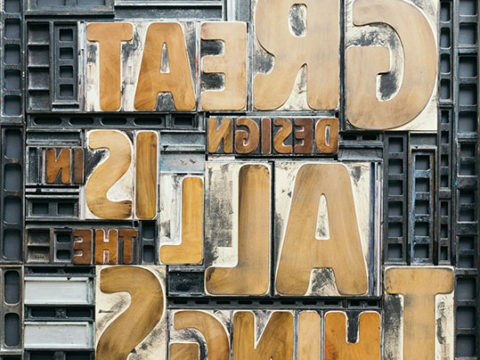 Neenah Paper is beloved for its ability to transform paper into experiential magic. 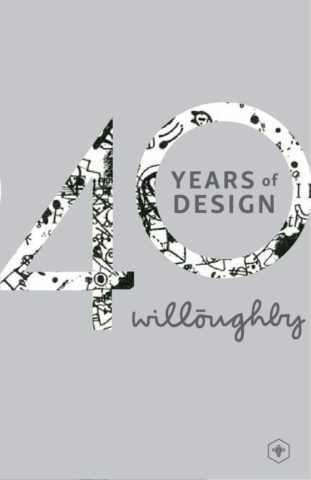 Luxurious textures, colors and weights help designers engage audiences in emotional and intriguing ways that ignite the senses and make lasting impressions. 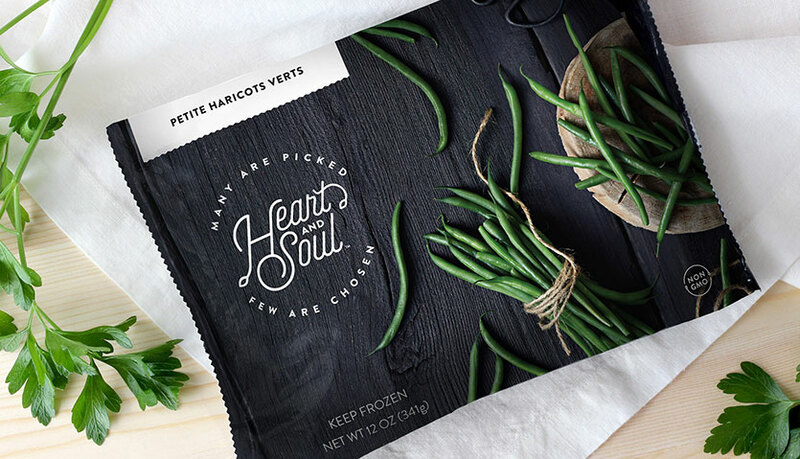 Bringing paper to life is any designer’s dream, so we were honored when invited to demonstrate the beauty, versatility and functionality of Neenah Papers. 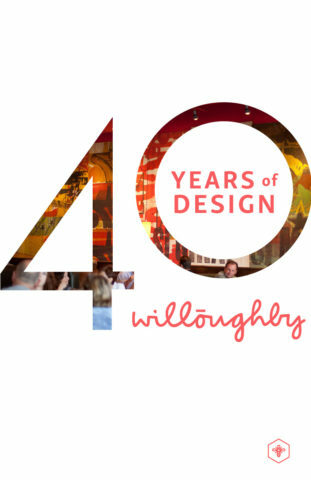 The Design Industries Foundation Fighting AIDS (DIFFA) raises awareness and grants funds for individuals impacted by HIV/AIDS. DIFFA KC brings together volunteers from our design community to further this work in Kansas City. 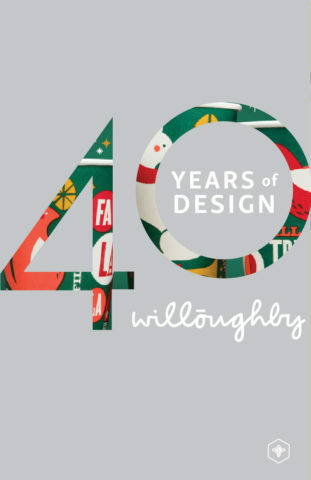 Willoughby was asked to contribute creative support by branding and creating promotional materials for ShowKC, their largest fundraising event. 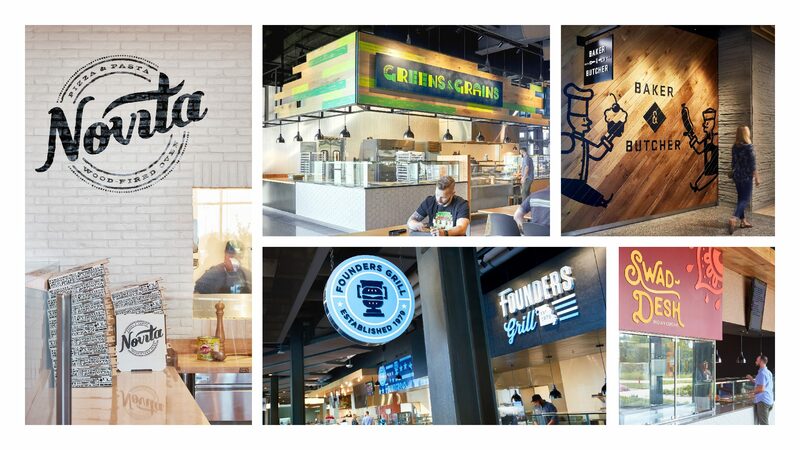 Willoughby partnered with the architects at Gould Evans to concept and design eight distinctive restaurant experiences within the new Cerner Innovation Campus. The energizing environment provides a place for employees and visitors to meet, find nourishment and discuss the next big idea. 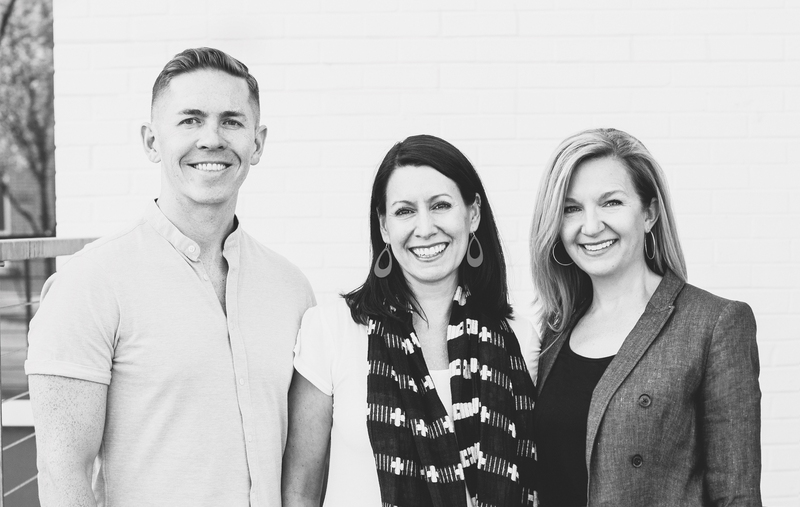 The Charlotte Street Foundation discovers, fuels and sustains a vibrant, multi-disciplinary arts community in Kansas City, creating a home for artists to thrive. 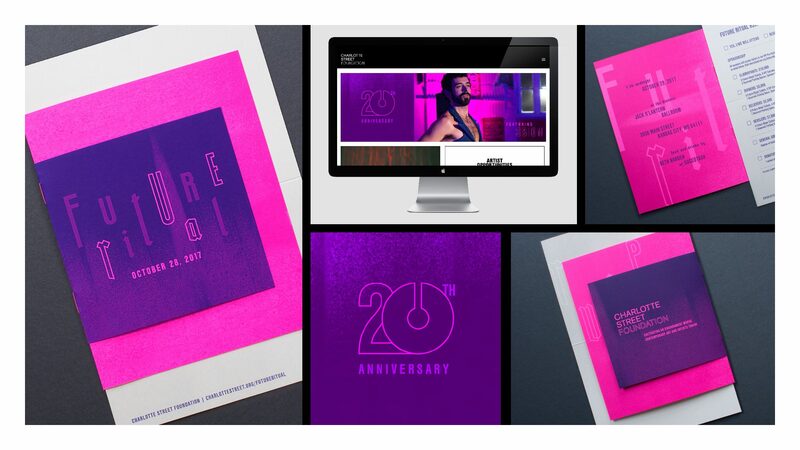 To celebrate its 20th anniversary, we created an identity and collateral for their annual costume party, deemed Future Ritual, to celebrate the past while looking to the future. If you’ve ever been to our studio, you’ve likely been greeted by Fritz, Colby, Gordon or Charlie. Pups in the house are the best thing ever. From helping Science Diet brand the very first dog treat to the invention of the Three Dog Bakery brand, the ground-breaking bakery for dogs that spread from Kansas City all the way to Hong Kong, we have a long history of working with companies that care for our furry friends. The tradition continues with pet products, pet media, conventions and the Raise the Woof campaign that we are thrilled to report helped bring a new animal shelter to our hometown. How about a walk (walk!) through a few of our latest projects. 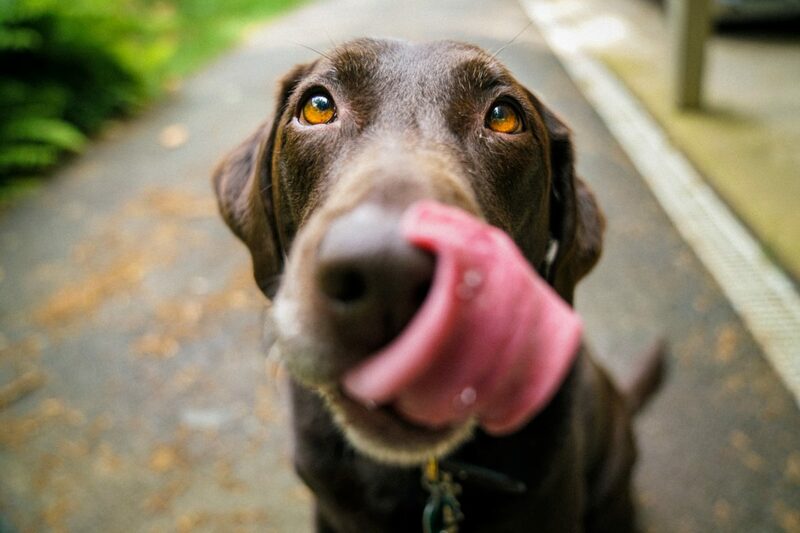 As a company of animal lovers, we are always thrilled to work with pet product retailers and animal advocates. UBM, the largest events company in North America, owner of dvm360, one of the industry’s most influential veterinary media companies, engaged Willoughby to help refresh and align the veterinary group, UBM Veterinary, and its associated brands to better reflect the needs of its audiences and the mission of the UBM parent brand. 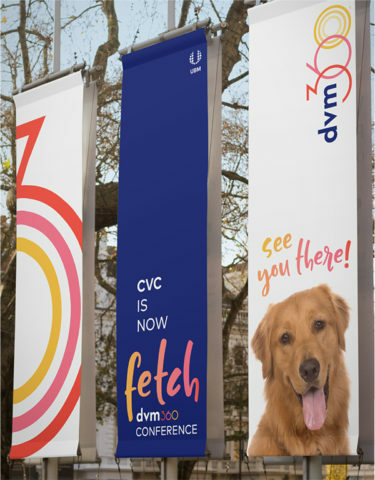 The project included the dvm360 media brand over their flagship publication, dvm360 magazine and dvm360.com, as well as their national veterinary conference, The CVC, held three times each year. The CVC, a gathering place for vets, vet techs and their families, is produced by the dvm360 media brand but research revealed that no one associated the two. To add to the confusion, CVC stood for Central Veterinary Conference but the conference had expanded to the east and west coasts. On our quest to bring these brands together so they could work better together, beginning with a new conference name, we went back to why vets become vets in the first place. They all love pets. And we quickly learned they need more play in their lives. What’s the oldest game? Fetch! So we extended the new dvm360 look to Fetch, locked them up together, and a new brand with shared equity was born. The vibrant and inviting evolution works across the entire brand family and was enthusiastically received by attendees and vendors alike as a natural extension of the positive and encouraging experience audiences already know and love from dvm360 and The CVC. 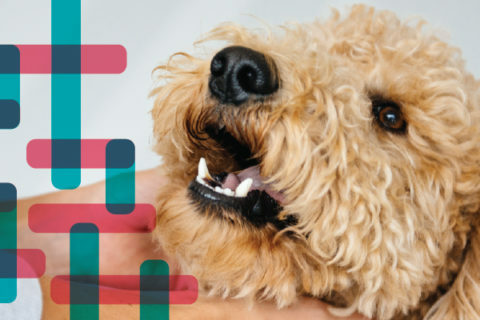 Following the launch of the rejuvenated dvm360 brands, an opportunity arose for a strategic alliance between UBM and the North American Veterinarian Community (NAVC) to create a new conference experience. 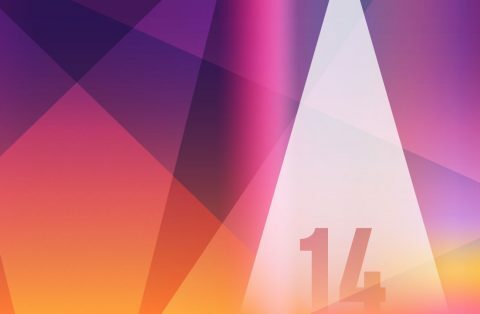 We joined the team to name and design the inaugural event, Vet & Pet West, to unite veterinarians, pet retailers and pet parents in a three-tiered, inclusive conference experience that has never been done before. 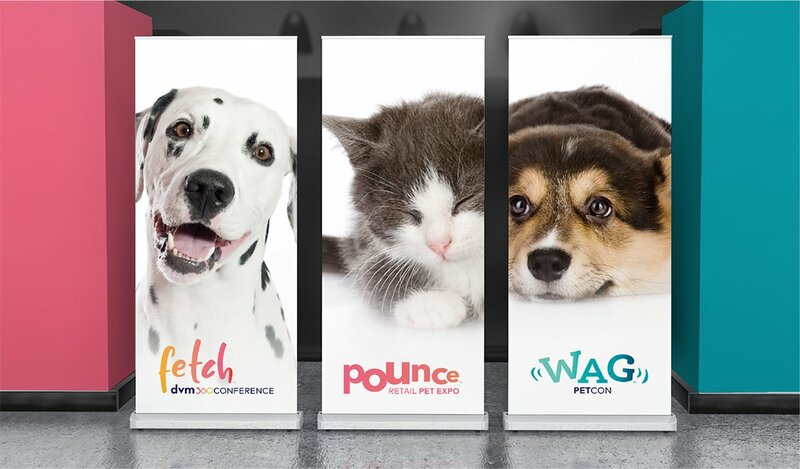 To complement the dvm360 event, FETCH, we christened the two new events, POUNCE and WAG. Naturally. 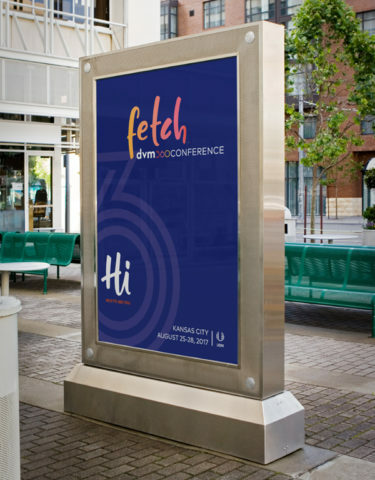 The foundation of Pet & Vet West is the Fetch dvm360 conference that equips veterinarians with everything they need to succeed in practice and life. Pounce is a retail pet expo that goes beyond beds and collars to present new technologies and innovative pet products. Wag is a consumer pet conference for engaged pet parents who want to build the best relationships possible with their furry kids. 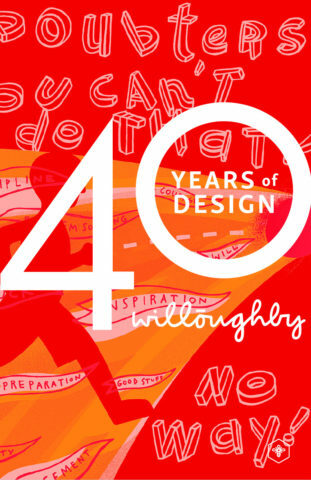 Graphics are bright and vibrant with energetic type and irresistible pet imagery. 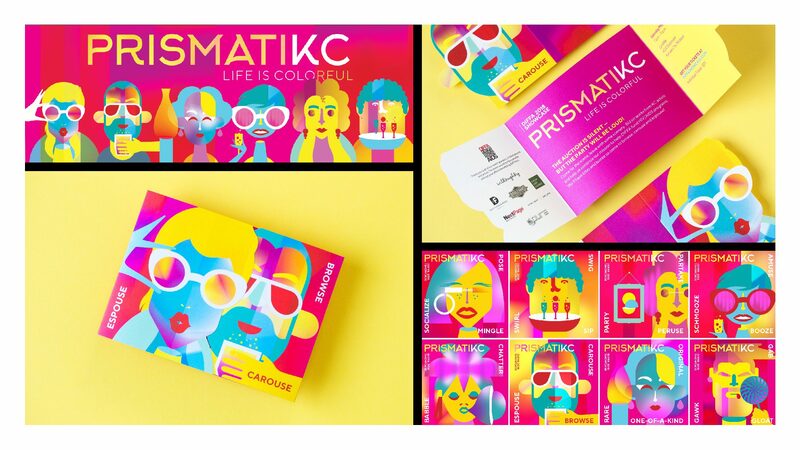 The brand personality is high tech with a communal, informative and inspirational vibe. Read the full tail here. 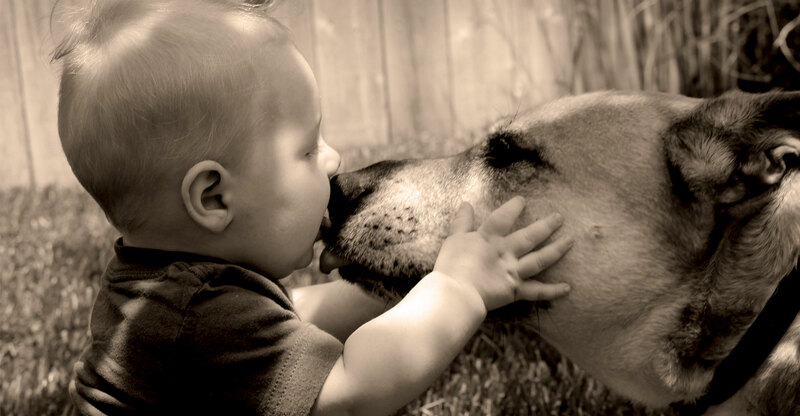 Petlinks developed one of the first dedicated pet care “systems,” created to enhance the people/pet relationship with a foundation of love, sustainability, good health and fun. But over time, the brand had been overtaken by competitors who had also created their own systems. The previous identity was also generic, corporate and very difficult to find in the highly populated, often overcrowded, pet needs aisle. It had become a brand in need of a good grooming and our job was to update the brand with a more emotional look and voice to grab pet parents by the heart strings. 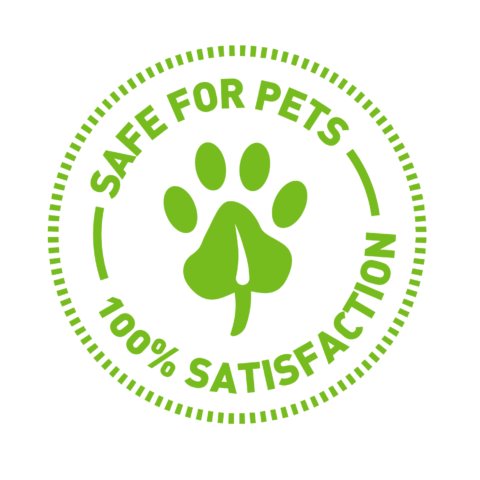 Parent company, Worldwise, develops environmentally conscious products that are safe for pets, people and the planet. This benefit is still a key differentiator for Petlinks. 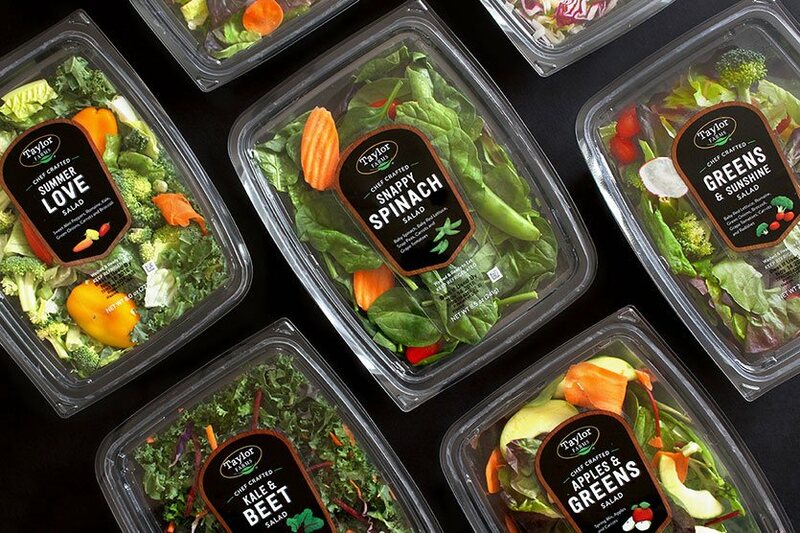 Dozens of prototyped packaging solutions were tested with consumers in focus groups and online testing. 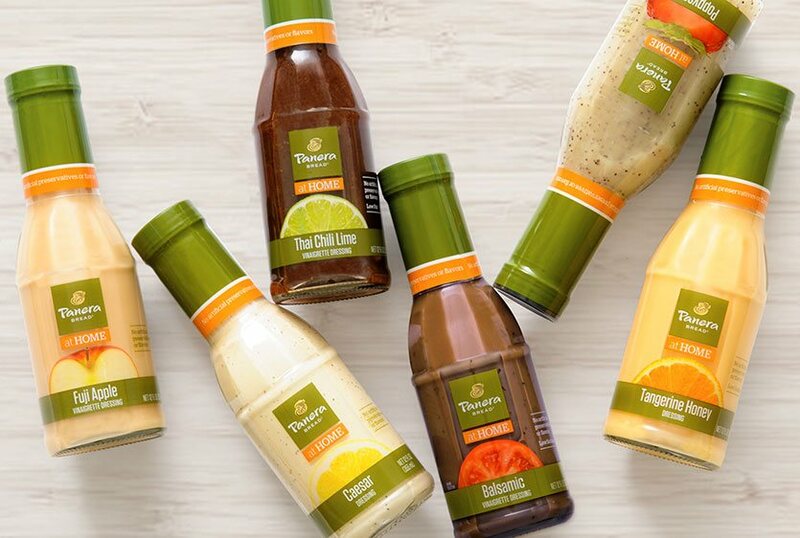 We tested every aspect of the package design including existing brand equity, color systems, photography, logos and language. The Petlinks System package strategy took a drastic departure with more emotional photography and logotype. The new language focuses on educating Pet Parents to encourage the creation of a lifelong bond and a rewarding relationship with their pet. 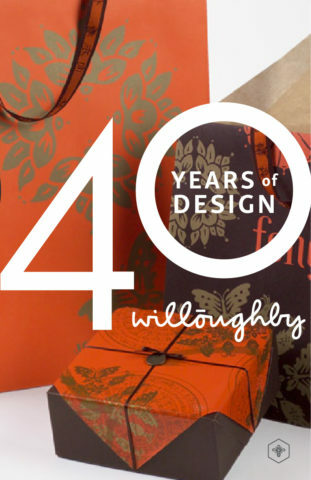 The choice of script typography also supports the premium retailer positioning. Our consumer research also confirmed an opportunity for messaging that could come from a place of authority that specialty retailers have over the more mass merchandisers. 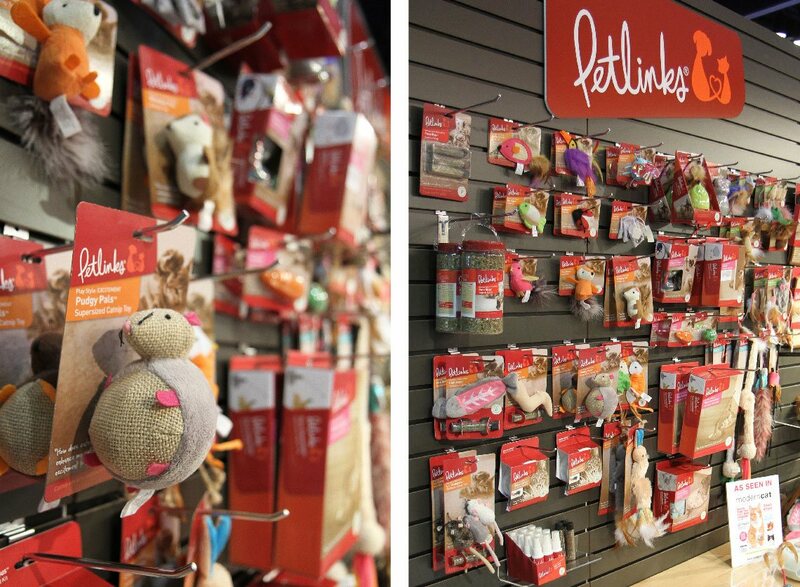 To fulfill this, we launched the Petlinks Panel and added pet care advice to the packaging story. 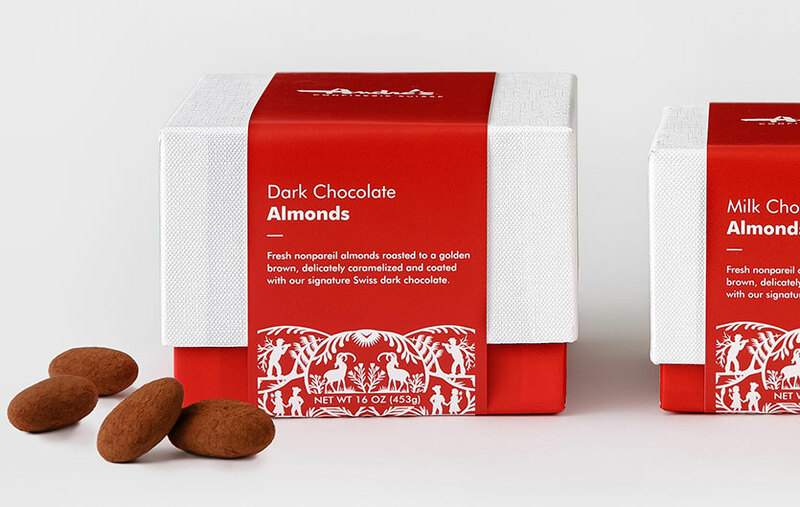 Standing out in the chaos meant assuming authority in meeting the needs of pets but also in refining the packaging for a more upscale, even sophisticated, look that made choosing a pet brand for consumers more like choosing products for their own children. The line includes over 300 SKUs is rolling out across channels. 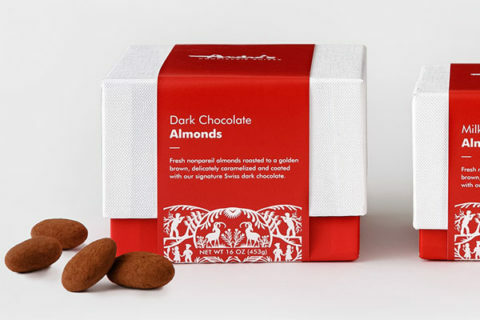 And the proof is in the sales: The new package design is selling better than previous packaging. Pets make our lives better so anytime we find a chance to help make their lives better we’re all in. Plus, we love the kind of research that sits on our lap. One of the great things about Willoughby is that people tend to stay awhile. Our team is highly tenured and many of us have grown up here. But now and again comes time for change. After guiding our West Coast office for the past five years, Zack Shubkagel is leaving the hive to seek out new adventures. He found his heart in San Francisco and will be pursuing other opportunities there — NOT getting up for 7 am meetings with us. With Zack’s departure, we will be closing our SF outpost. 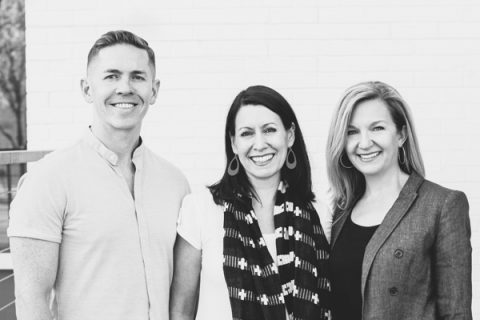 Willoughby will continue under the ongoing leadership of principal/owners Megan Stephens and Nicole Satterwhite in our Kansas City flagship. We have national reach and will continue working with clients from coast to coast. The midwest has proven to be the perfect hub for work across multiple time zones. To Z, you have been a beloved member of our team for the past 15 years. It won’t be the same without you, but this isn’t goodbye. It’s fare thee well and good luck. Once a bee, always a bee. 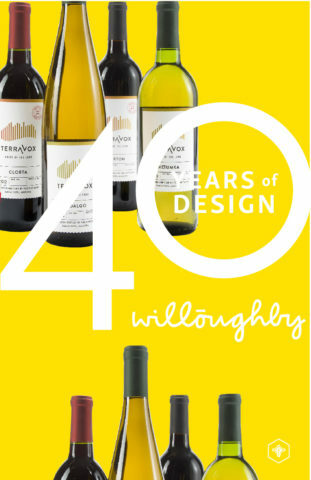 Remember that bottle of wine you bought just because you loved the label? Guilty here. They say you can’t judge a book by its cover, but we all do it — all the time. First impressions matter. That’s where we come in. Our clients are passionate about their products. We are passionate about making sure those products are dressed for success, positioned to stand out from the crowd (on shelf and online) and lure the people who will enjoy them the most. Here’s a sampling of our latest work. Welcome to the hive. 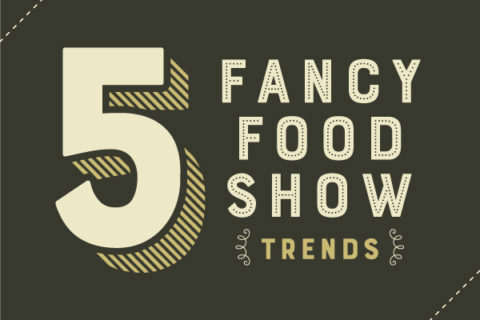 My happy place exists where food and design meet, so when I was given the opportunity to go to the Winter Fancy Food Show it was like being given a ticket to Disneyland. 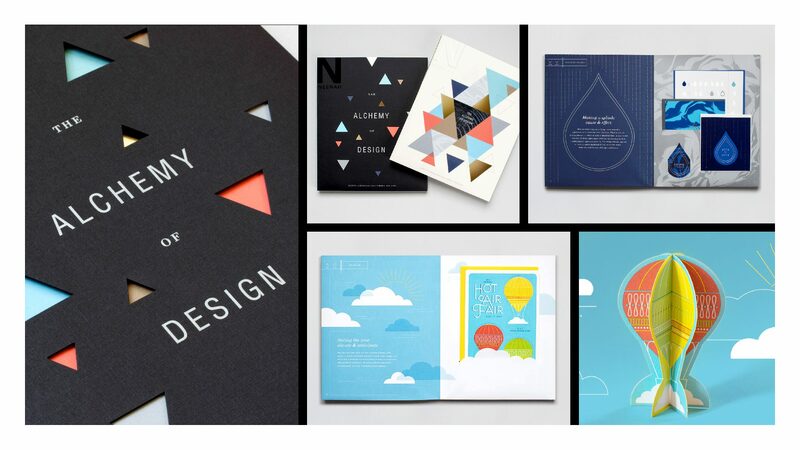 To Mr. Spiekermann for your help with our new Neenah Promo Book– Danke schön! Like a part of the spectrum we know exists but cannot see, creativity is an elusive metaphysical property. Like gravity, we need creativity to function. But how can you select the best creative solution when it can be as abstract as anti-matter? Every business leader wants creative solutions, saying “I’ll know it when I see it!” They have visions of landing on the moon. But when creative solutions are presented — they default back to earth. As creatives it is our job to reach for the moon and sell our clients on buying great creative. Too often, the C-levels, Directors and Managers are selecting what they know will have least resistance. After all no one likes change. This leads to ho-hum executions that don’t stand out and don’t move the needle. How do we push them outside their orbits? First we have to help them understand their fears. A study conducted by Cornell University on the Bias of Creativity reveals a challenge we creatives have in selling our harebrained ideas. When participants were given a creative option vs. practical option they select the status quo. This appears to stem from our desire to reduce uncertainty. Considering our clients pressure to deliver higher earnings, improved profits and outcomes, creativity is the dark side of the moon. “Our findings imply a deep irony. Prior research shows that uncertainty spurs the search for generation of creative ideas (Audia & Gonzalo, 2007l Tiedens & Linton, 2001), yet our findings reveal that uncertainty also makes us less able to recognize creativity, perhaps when we need it most.” — Bias Against Creativity. So how do we reduce this friction? Be truthful with your clients from the beginning. Reassure them that you are in their corner and ready to walk them through what may feel uncomfortable at first. Taking that first step into the Uncomfortable Zone isn’t easy, especially if they aren’t empowered by their own superiors to make creative decisions. Give them the power to communicate your vision if needed. Start with the close-in, the safe. Show the client what happens if they go status quo. If you don’t show it, they will ask or wonder, “What if?” But then step it out. Show them what they would least expect. Visualize the anti-matter with words, video, prototypes. Don’t pitch an idea solely with words. As you present each element pause and ask them if they have any questions. NASA didn’t just land a man on the moon in one day. They sent several unmanned rockets with a few fatal mistakes along the way to learn and prove they could make the mission a success. Similarly you may need to phase into the final creative solution. Prove it works by testing it on various touchpoints. Talk with the stakeholders to ensure it can be adopted successfully. Be excited and they’ll be excited. If you can mitigate the fear with baby steps, you may succeed in selling in that winning idea. 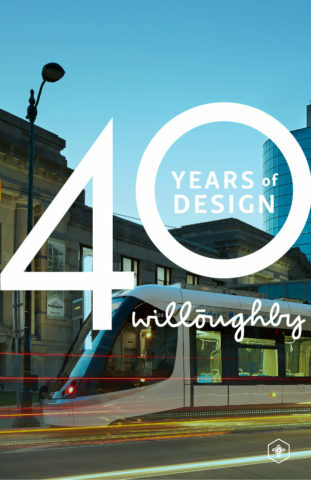 Willoughby Design’s Case Study: Blue Retail for Kansas City Blue Cross and Blue Shield has been selected in the 2014 AIGA design competition “Justified” as one of 19 exemplary case studies that successfully demonstrates the value of design. 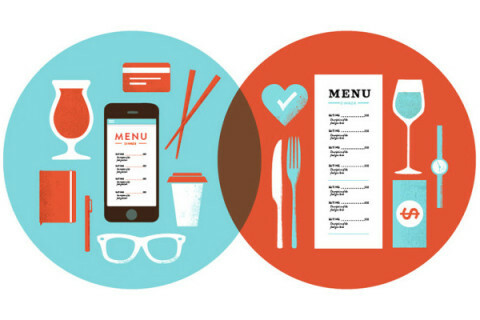 When it comes to restaurant experience design, today’s QSRs are faced with the need to create dining experiences that will appeal to the Millennial and Gen Y demographics that now represent more than half of the QSR market. The challenge is to do it without pushing away existing customers — including Baby Boomers.